The phrase, “To rob Peter to pay Paul,” is a common way of describing a situation in which paying off one debt requires incurring a second debt. Using loans to pay off other debts is a textbook Peter/Paul scenario, as you are, by definition, taking on a new debt to pay off an existing debt. While it can seem counterintuitive to deal with debt with, well, more debt, sometimes the math really does work out favorably. This can be especially true when dealing with high-interest debts, like credit card debt, as you can potentially lower your interest rates and reduce the amount you owe. The type of loan you need to pay off your debt will depend mostly on the type of debt you carry. Each type of loan has its own requirements, restrictions, and associated costs — and that’s before you factor in the challenges associated with having bad credit. Personal loans are a flexible form of financing that can be used for just about anything (so long as it’s legal), including paying off a wide variety of debts. Most commonly, however, personal installment loans are used to pay off and consolidate high-interest credit card debt with the goal of streamlining payments and reducing interest. For the most part, finding a personal loan isn’t that hard; most banks and credit unions will provide personal loans, as will hundreds of online lenders. The process gets more complicated when you have bad credit, however, particularly if you need a fairly large loan to consolidate multiple debts. Local credit unions are often a good place to find an affordable personal loan, and credit unions often have flexible credit requirements. Online lending networks can also be an easy way to find lenders that aren’t afraid of a low credit score. Our expert-reviewed networks below have wide partner networks that can help borrowers with nearly any credit type. Remember that online lending networks are just a place to meet your lender; the network won’t be handling your final loan agreement or financing your loan. Furthermore, if you have any issues with your loan, you’ll need to speak directly with your lender, as the network can’t help you. When you are approved for a personal loan and accept the terms, the funds you borrow will be dispersed into your bank account. At this point, you can use those funds as you would any other to pay off your credit cards or other high-interest debt. You’ll then make loan payments each month to pay off your personal loan. Ideally, the consolidation loan will be your only remaining debt — and you’ll stop accumulating more debt. The other key to successfully using personal loans to pay off your high-interest debt is to get a loan with a lower interest rate than the rates you’re currently being charged. Of course, if you are struggling to make your monthly payments, even a loan with a less-than-ideal rate may help. Card cards continually accrue more interest so long as you carry a balance, and the minimum required payment is based on your balance. Installment loans, on the other hand, have set monthly payments, and you’ll know your interest charges up front. Plus, you can control the size of your monthly payment by selecting the length of your repayment term. The longer you take to repay the loan, the lower your monthly payment will be — though the more you’ll pay in interest fees over time, so balance the two factors carefully. One of the top reasons many people have for buying a home is the notion that buying a house is an investment. While the true value of that investment will vary based on housing trends, as you pay down your mortgage and/or housing prices increase, you’re building equity in your home — equity you may be able to tap into to help pay off debt. Many lenders that offer mortgage loans will also provide home equity loans or credit lines, and you don’t have to get your home equity loan from the same lender that handles your primary mortgage loan. At the same time, while home equity loans don’t typically require a down payment, they may still involve a credit check. Moreover, bad credit can still be a liability when applying for a home equity loan — no matter how much equity you have — so choosing a lender will come down to both the type of loan you want (loan vs. credit line vs. cash-out refinance) as well as your personal qualifications. Online lending networks, like those below, can be a good way to connect with multiple lenders to get an idea of your options. When it comes to home loans, the nature of your bad credit will have just as much to do with qualifying as your score itself. A so-so credit score can sometimes be overlooked if your debt-to-income ratio (how much you owe over how much you make) is low and if you have at least a year of positive payment history. There are three main ways to get cash out of your home’s equity that can be used to pay off debt: a home equity loan, a home equity line of credit, and a cash-out refinance loan. All three methods will typically require a credit check and a home appraisal to gauge the value of your property. A home equity loan — sometimes called a second mortgage — is a one-time loan that uses the equity in your home as collateral for the loan so that you don’t need to make a down payment of any kind. Home equity loans usually have a set repayment term, and the contract ends when you pay off the loan. In contrast, a home equity line of credit (HELOC) is effectively like a home equity loan that you can use over and over again. HELOCs still depend on your home’s equity for collateral, but instead of ending when the amount is repaid, HELOCs are revolving credit lines, similar to credit cards. 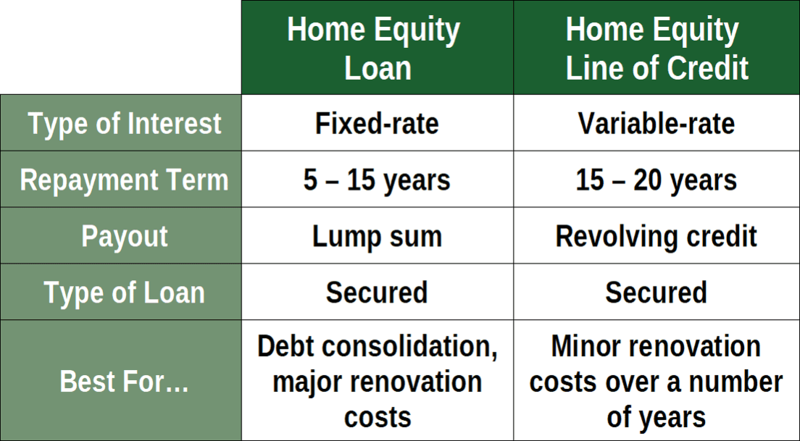 Both types of home equity credit lines will be limited by the actual equity you have in your home, or the loan-to-value (LTV) ratio. For example, if Edna’s home is worth $200,000 and she owes $100,000 on her home mortgage loan, then her LTV is $100,000 / $200,000 = 0.50 = 50%. The amount you can borrow will typically be capped at some LTV level with which the lender feels comfortable; an LTV of 0.85/85% is fairly common. So, continuing with Edna’s example, 85% of $200,000 is $170,000. When you subtract what she already owes, Edna could potentially qualify for a home equity loan of up to $170,000 – $100,000 = $70,000. Depending on your credit and equity levels, another option for getting money out of your home may be a cash-out refinance loan. Sort of a mix of a home equity loan and a refinance loan, a cash-out refinance loan allows you to refinance your home mortgage for more than you currently owe and take out the difference as cash. Similar to home equity loans, cash-out refinance loans will cap how much of your equity you can tap, and you’ll never be able to refinance for more than your home is worth. In Edna’s case, if she owes $100,000 on her mortgage, she could take out a cash-out refinance loan for, say, $150,000, and use the extra $50,000 to pay off debt or make home improvements. The downside to a cash-out refinance loan is that you are taking on a larger loan than you need to pay off your original mortgage, which means you’re effectively extending your mortgage payments — and your interest payments. As a result, you’ll likely not only be taking years longer to pay off your home, but you’ll also have paid way more in interest by the time you’re done. And, of course, be careful using your home as collateral for any type of financial contract. If you fall behind or fail to repay a loan secured by your home, you could wind up losing your home. Only take out home-equity based loans if you are absolutely certain you can make the payments as required. Although vehicle loans are often the ideal way to finance a vehicle purchase, that’s all they can really do. Unlike personal loans or home equity loans, you can’t use any sort of auto loan to pay off debt for anything other than a vehicle (though some lenders may have broad vehicle descriptions that include things like RVs or boats). Additionally, the vast majority of vehicles don’t generate equity, so there is no such thing as an auto equity loan. So, long story short, you can’t really use auto loans to pay off any kind of debt — other than an existing auto loan, that is. That’s because you can find auto refinance loans that may help you save some money by refinancing at a lower rate, particularly if you’ve recently improved your credit. If you have bad credit, however, you’re much less likely to find a lower rate; in these cases, the only real reason to refinance your loan is to lower your monthly payments by extending your repayment term. Keep in mind that taking longer to pay off your loan will mean more interest payments, increasing the cost of the loan. This should be a last-ditch solution. As with other types of loans, your options for finding a lender for an auto refinance loan come down to using an online lending network or going straight to the direct lender. Lending networks can be useful for comparing multiple offers without needing to fill out multiple applications. If you choose to use a lending network to find your lender, it’s important to keep in mind that lending networks don’t finance loans; you’ll complete the loan process with the lender you select. CarFinance.com is a direct auto lender that offers loans for new purchases and refinancing. When considering refinance applicants, CarFinance looks at your payment history for your current loan and your debt-to-income ratio in addition to your credit profile. CarFinance.com loans are only available for vehicles that have fewer than 100,000 miles and that are not more than eight model years old. However, if you owe less than $7,500 on your current vehicle loan, you can’t refinance through CarFinance.com. Perhaps most known for its credit cards, Capital One Bank also offers auto loans for new purchases and refinancing. You’ll need to owe between $7,500 and $50,000 on your current loan to qualify, and your vehicle will need to be seven years old or newer. Capital One allows potential borrowers to see if they pre-qualify for a refinance loan using a soft credit inquiry that won’t impact their credit score. Pre-qualified applicants can see their monthly payments, APRs, and offer summaries to gauge their options. Many lenders that offer auto loans for new purchases will also offer loans for refinancing, but you may not be able to refinance your auto loan through the same lender that provided your original loan. If you’re struggling to find an affordable loan from a big bank due to poor credit, try your local credit union, as they tend to have flexible credit requirements. Student loans are purpose-built financing products that can only finance one type of debt — but they’re usually the best type of loan for that debt. So, if you’re looking to refinance your existing college debt, you can use a student loan (and you really shouldn’t use anything else); if you’re trying to pay off other debt, keep looking. Student loans to pay for college expenses can be either federal student loans — loans made by the government — or private student loans, which are financed by a bank or lender. Federal student loans are generally considered to be more desirable because they have fixed interest rates and income-dependent repayment plans. While initial loans can be federal or private, you can only refinance student loans with a private loan, as there are no federal student loan refinance programs. This means going through a bank or third-party student loan lender, where credit requirements may be more restrictive. If you have federal loans, make sure you’ve already investigated your options for the various government repayment options, like Pay As You Earn (PAYE), as you won’t be eligible for these programs if you refinance with a private loan. Similarly, most public service-based loan forgiveness programs will only apply to federal loans. In most cases, you can’t refinance a loan with the same lender that financed the original loan. That said, most lenders that offer private student loans will also provide refinance loans, so the market has plenty of options. As with other loan types, you can also find online student loan lending networks that may help you connect with multiple lenders to compare rates. 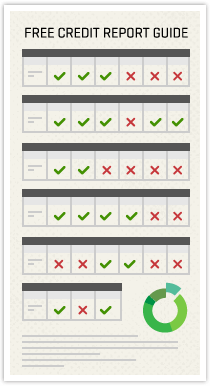 This can be a good way to get an idea of your options without filling out multiple applications. Alternatively, you can do your own research and pick a reputable lender to apply to directly. 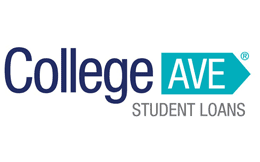 College Ave is an online direct lender that offers both new and refinance private student loans. Refinance loans can be obtained for federal or private student loans and can have repayment terms of up to 20 years. Loans from College Ave have no application or early repayment fees. Borrowers can refinance existing student loans with balances as low as $5,000, but the maximum amount that can be refinanced is $150,000 for graduates of undergraduate or graduate programs, or up to $250,000 for graduates of medical, dental, veterinary, or pharmacy programs. 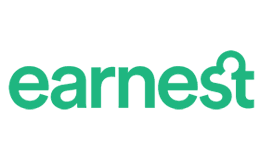 Earnest is a direct lender that provides personal loans and refinance student loans. Loan repayment terms can vary between five years and 20 years, and Earnest has a somewhat unique system that allows you to pinpoint your end-date within a few months. You can see if you pre-qualify online without hurting your credit. Your student loans must be for a degree you completed previously or will complete by the end of the current semester. Earnest loans are not available in Alabama, Delaware, Kentucky, Nevada, or Rhode Island. 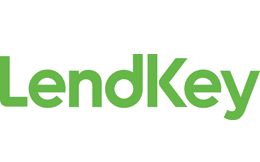 LendKey is an online lending network that connects borrowers with lenders for home improvement loans, as well as both new and refinance student loans. LendKey’s network of lenders includes credit unions and community banks to help keep rates low. Refinance loans through LendKey can be obtained for student loans with balances of at least $7,500, and there are no application or origination fees. Only loans for a degree that has been completed can be refinanced through LendKey. One of the most important things to remember when considering refinancing your student loans is that you should try to avoid extending your repayment time when possible. The longer you take to repay your loans, the more interest you’ll wind up paying overall, making your expensive degree that much more costly. Should You Use 401k Loans to Pay Off Debt? One of the most difficult things about saving for retirement is having to keep your hands off the cash until you’re eligible to withdraw it, penalty-free, when you hit retirement age. Seeing that nest-egg sitting there while you struggle to pay down debt can be downright maddening. Sure, you can, technically, take out a loan from the money in your 401k — generally up to 50% of your vested funds — without a credit check; these loans typically charge the U.S. Prime Rate plus 1%, and the interest essentially goes right back to you as part of your repayments. But, the hard fact is that you really should just leave your retirement money alone. That money doesn’t actually belong to you — it belongs to future you. And future you will be a lot better off if your retirement funds remain in your retirement account, growing fat on yummy compound interest gains. And for more reasons than you might think. To start, when you remove money from your 401k, you’re not just sacrificing the earnings you would have made on that money while you repay your loan. You’re also sacrificing the compound earnings those earnings would have accrued over the life of your account. For an example, consider Imaginary Irving, who took out a $10,000 401k loan with a 6% interest rate and repaid it over five years. If the market showed a 7% return (the 10% long-term average minus inflation), Irving would lose out on $335 in earnings — $335 that would have added more than $3,500 to his nest egg over 35 years. So, the short-term cost is less than, say, a personal loan with twice the interest rate, but the long-term cost of the 401k loan is greater still. Worse, if Irving isn’t able to repay the loan and loses out on the entire $10,000, he’ll have effectively sacrificed over $100,000 worth of retirement savings over 35 years of earnings and compound interest. That’s not the end of the potential costs, either. As with most loans, you may also need to pay a variety of fees, including administration and origination fees, for your 401k loan. Oh, and don’t forget the double-taxed repayments; you’ll repay your loan with after-tax money, then pay taxes again when you withdraw the funds in retirement. There are also additional perils to pilfering your retirement account beyond the direct costs. That’s because 401k loans are so studded with asterisks and fine print that they resemble porcupines — starting with the fact that your loan could become due almost immediately (by the due date of your next income tax return) if you leave your job while the loan is outstanding. As the saying goes, however, for every rule there is an exception. The time may come when your debt gets to the point that you simply can’t manage it without help, making a 401k loan seem like the least terrible of your remaining options. And it might be. 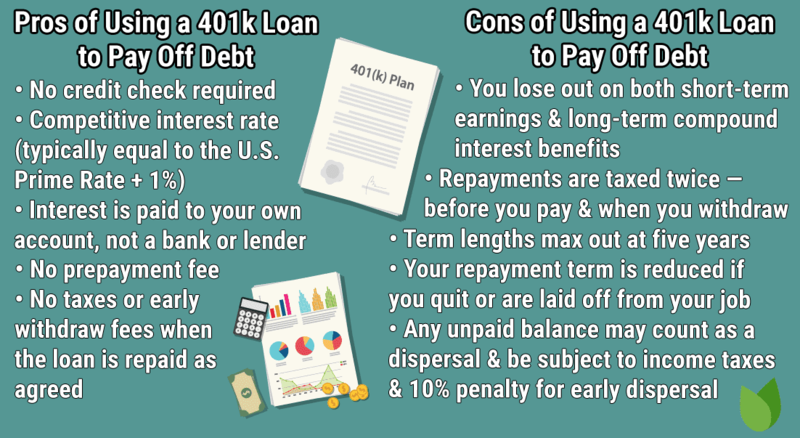 When handled absolutely perfectly, repaid entirely on time, and used during a period of complete job stability, a 401k loan can be a lower-cost option than an expensive personal loan for paying off debt in a pinch. But, that’s an awful lot of fine print to negotiate for a successful experience, so tread carefully and be sure you’ve considered all of your options first. Are There Government Loans for Paying Off Debt? Given that so much of our money goes toward paying government taxes, it’s certainly natural to expect — or, at least, to hope — that the government has some way to help you out when you’re faced with unmanageable debt. To start, there aren’t any government issued, sponsored, or insured personal loans to pay off or consolidate debt. If you need a loan for this purpose, you’ll need to go to a bank, credit union, or lender. Be careful when searching for information on government assistance programs, as fraudulent websites are commonly used to take advantage of people in need. The government-run Benefit Finder and associated resources are generally the safest places to start your search. One of the most common reasons people become overwhelmed by debt is the expensive fees associated with high interest rates. That’s because a high APR can turn even a small balance into a big debt if allowed to accrue unchecked. Credit cards are among the worst offenders in this respect, with an average APR around 14% — and the typical rewards cards over 16%. And that’s if you have great credit; bad credit will land you in the 20%-plus range (which means you’re essentially paying $20 for every $100 worth of credit card debt you carry for a year). Personal installment loans are good for consolidating credit card debt for a few reasons, the primary reason being the ability to reduce the amount of interest you’re paying. 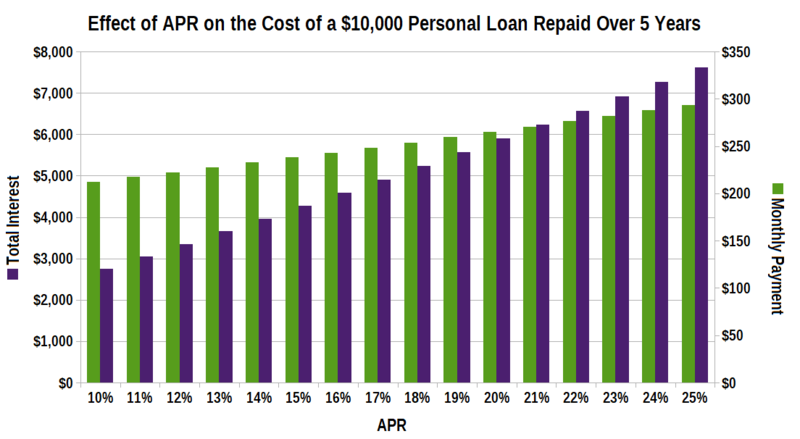 The majority of personal loans will charge an APR below that of most credit cards, and the better your credit, the lower the rate you can get. Even when comparing options for bad credit, many personal installment loans will likely have a lower interest rate than comparable subprime credit cards. Personal loans also tend to offer the option to apply with a cosigner, which can significantly improve your terms (though cosigning is not without its risks). To consolidate your existing credit card debt with a personal loan, you first need to determine how much debt you have and the various rates you’re being charged. 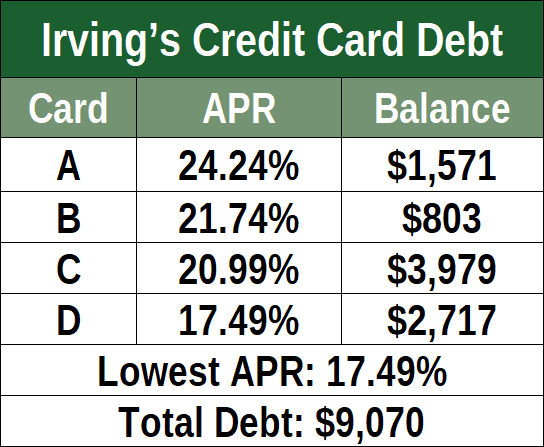 For example, a consumer, let’s call him Imaginary Irving, might have four different credit cards with balances that need to be consolidated, as shown in the table. The goal of consolidation is to pay off all of your high-interest debt with a lower-interest loan, thus giving a single loan payment that is, ideally, less than you were paying before. So, you’ll need a loan large enough to cover all of your debts — plus any applicable administration or origination fees for getting the loan — and you’ll need it to have an APR lower than your current lowest rate. So, for Irving’s consolidation to be most successful, he’ll need a loan of at least $9,070 (plus any fees) with an interest rate of less than 17.49%. If the best loan Irving can find charges him a higher rate — say, 20% — then he should consider only consolidating those debts with APRs above that rate. In cases where the APR on the loan is not that much better than the rates you’re already being charged, it can be worthwhile to do the math on whether consolidating is really a good idea. Loans are rarely free; origination fees typically range between 3% and 8% of the loan amount, and lenders may also charge administration or maintenance fees. If your loan doesn’t charge any fees (credit unions are a good source of fee-free loans), then any reduction in interest will likely help your budget, making consolidation a worthy project. Just be sure to put the savings to good use; if you’re able to reduce your interest payments, you should put the extra money back toward your debt to help you get out of debt sooner. One of the most disheartening parts of having bad credit is the rejection. You can research the right type of loan, draft a perfect plan, and comb the internet for the ideal lender — all to be turned down because of a low credit score. Or, what can feel even worse, is when you’re approved, but for way less than you need or with an interest rate near to what you’re already stuck paying. Use a Cosigner: Applying with a cosigner who has good credit can significantly improve your loan terms, but being a cosigner is a big responsibility, so be sure you both know the risks. Put Down Collateral: Many types of loans will allow you to make a down payment or use your valuables (property, vehicle, etc.) as collateral, which can garner you better loan terms. Boost Your Income: While your income isn’t part of your credit score, many lenders use your debt-to-income ratio as part of their evaluation. Improving your income, through a raise or side-job, can help you qualify for larger loan amounts, as well as give you more money to put toward your debts. Give It Time: Sometimes, the best thing to do is to wait for your credit to improve before looking for a loan. Most negative credit items will come off your reports in seven years or less, and they’ll start to lose impact on your scores well before they expire. In general, the simple fact is that the only real way to guarantee lower rates and better loan offers is to improve your credit. Even a boost of a couple dozen points or so can have big results in the offers you receive, especially if you’re near the cusp of a higher credit tier (i.e., going from 590 to 620). When you use a loan to pay off other types of debt, you’re not actually paying off the debt — you’re really just playing debt musical chairs, shifting the debt from one place to another. Or, as we’ve been saying for centuries, you’re simply robbing Peter to pay Paul. While debt consolidation and refinancing can definitely be useful tools in reaching debt freedom, it can be all too easy to wind up just as bad as you started — or worse. Using new debt to pay old debts only works for a short time; eventually, your debts will come due. So, no matter what method you use to pay off your existing debts, it’s important to really investigate how and why you got into that debt in the first place. Debts don’t grow in a vacuum; something you did — or, in some cases, didn’t do — lead to the debt you accumulated. Of course, we all have a bad month or two, and some situations are out of our control; medical issues, sudden job loss, and other life events can certainly contribute to unmanageable debts if we don’t have savings upon which to rely. However, not all debts are from disasters; too many of us wind up in trouble by simply living outside of our means. In the end, getting out of debt may actually be the easy part. It’s often much hard to address the poor financial habits we’ve developed in order to stay out of debt for good. But, no matter how much work it takes, being debt-free is always a worthy goal.